Our Salsify team is growing like a root vegetable, so we’ve introduced a new blog series to introduce some of our teammates and how they contribute to the company. Who better to start with than our one hundredth employee, Anthony Franco! 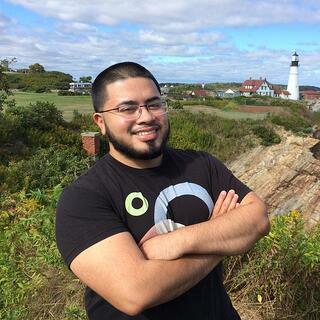 Anthony is a Rhode Island native who joined Salsify this year on June 6. He prefers Stephen Colbert to John Oliver (but I won’t hold that against him) and he’s a fan of all things chocolate. Anthony is an Associate Solutions Engineer, which means he is a technical person on the business development team. When we talk with new technology partners, Anthony helps build the integration and a demo of how the partnership would work from a technical standpoint. What is one project you have worked on that you are proud of or excited about? My very first project is getting familiarized with the technical architecture of Salsify. I get to see how all these different parts of our platform connect with each other as well as how we integrate with other companies, like Dropbox, Magento, and Shopify. Where do you see e-commerce in the next five years? Only growing. I can’t remember the last time that I bought something without researching it online first and I think that type of behavior is only going to increase, especially with the rise of brick and mortar stores themselves moving towards a more digital approach. There are even interactive mirrors being implemented into clothing stores to aid your shopping experience. Now that the physical and the digital commerce channels can talk to one another the industry as a whole will only grow. OK, now a fun one. What’s your favorite hidden gem in Boston? I actually commute an hour on the train from Providence, Rhode Island so I have yet to find one. How about one in Providence? Los Andes. It’s an amazing Peruvian restaurant that used to be a hole in the wall, but then was published on a top U.S restaurant list and it’s since blown up, but knowing it before it was famous was really cool. Describe your last shopping experience. Would you consider yourself a shopper? I would definitely not describe myself as a shopper. The last time I went shopping my fiance and I went to go buy shoes for her and she insisted that I needed new jeans. I didn’t do online research because due to the spur of the moment nature of the purchase, but if I had been looking for a pair of jeans online I would have done some pretty thorough research before buying. For example, these headphones I’m wearing? I did so much research and went back and forth for weeks before finally purchasing them. If the product content information had not been accurate and exactly what I was looking for, then, as a slow buyer especially, I would have ditched these headphones very early on in my research. What did you first think of when you heard ‘Salsify’? To be honest I had NO idea what they did from that name but it made me really curious!